Answers in Genes: What's this? A scientist supporting the ARTS? What's this? A scientist supporting the ARTS? Yes, yes, I know I'm supposed to be a hard-nosed left-brain analytical type, but I have my arty side too. Indeed, if anyone has been following my little blog, you'll know that I write the occasional song, and sometimes it's not about genetics or science. Part of the business of healing (and that's what being a doctor is all about) is catering for that side of the human psyche that might be called the "soul" (whether you're religious or not - run with me on this). 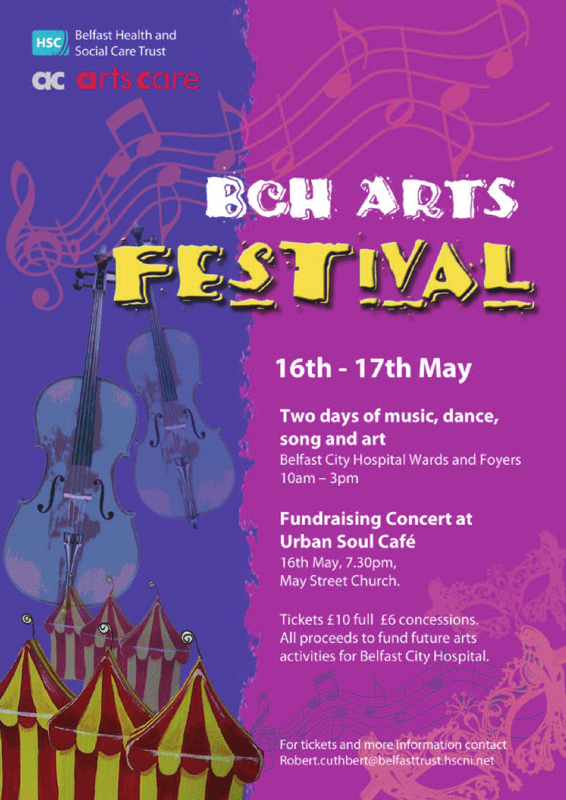 To that effect, Dr Robert Cuthbert and some colleagues have put together a fantastic selection of goodies in an arts festival at Belfast City Hospital, with a concert on 16 May at May Street Church "Urban Soul Cafe" at 19:30. This is dedicated to our patients. 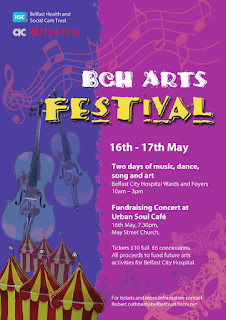 All proceeds will go towards arts activities at Belfast City Hospital, where I also work. Click on the poster (left) for more info, as well as how to get tickets (email Robert - see the poster for the address). Come on - it'll be a great night, and it's for a very good cause. I'll be performing "Canyons of Mars" and a wee surprise number. This is a WORLD PREMIERE! Plus, if you're in the City Hospital around lunch time, you might even get the opportunity to come up for a wee jam. Turn the big yellow giant green!